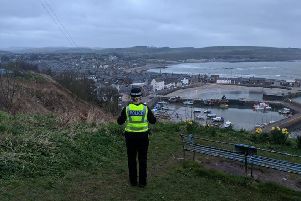 Three people have been arrested following a drugs seizure in Stonehaven. Cannabis and cocaine worth nearly £47,000 was recovered by officers following an intelligence-led operation on Saturday, 28 January. A four figure sum of money was also recovered. Following the operation, a 50-year old woman and two men aged 32 and 23 all from the local area, have been charged and are expected to appear at Aberdeen Sheriff Court today in connection with the recovery.